A FROME boxer is set to make his professional debut in front of an expected 4,000 audience next month. Ryan Wheeler is making the step up from amateur to professional boxer after almost 10 years’ training and 60 fights and will take to the ring at the Action Indoor Sports, Whitchurch, Bristol on Saturday 11th October. He started boxing at just 10 years of age with a friend, and the burning ambition to out-box his friend. Since then, the keen sportsman has gone on from strength to strength. 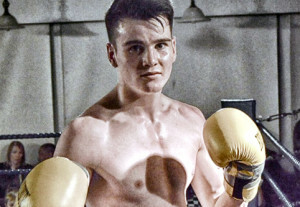 The ambitious lightweight boxer aims to progress to super-featherweight as a professional and continue the success he has enjoyed so far in his career after he reached a national final at Alexandra Palace as an amateur. Ryan said, “I cannot wait to step up into the ring for the first time at a professional level. I have received great support from family and friends. For me, there’s nothing better than putting on a great show in front of big crowds, boxing at my best. “I first walked into a boxing gym when I was about 10 years old. My first amateur contest was November 2006, and since then I’ve had almost 60 fights. After almost 10 years training as an amateur I decided to step up to the professional level. “I’m very happy with my success as an amateur, I cannot decide on my amateur highlight but it’s between reaching the national final or boxing down at Alexandra Palace in front of a massive audience. “My ambition as a professional would be to look back at the end of my boxing career with a big smile on my face and able to say I gave 100%! I am confident I am able to win titles. For more information or for tickets contact Ryan on 07518 866425. They are priced at £35 for standard seats and £60 for ringside.